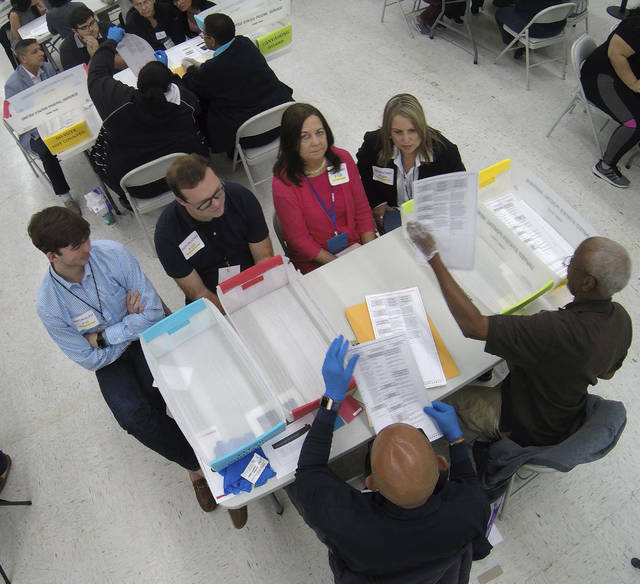 TALLAHASSEE, Fla. (AP) — A hand recount began Friday in Florida’s acrimonious U.S. Senate contest after an initial review by ballot-counting machines showed Republican Gov. Rick Scott and Democratic Sen. Bill Nelson separated by fewer than 13,000 votes out of more than 8 million cast. Under state law, a hand review is required when the victory margin is 0.25 percentage points or less. A state website’s unofficial results show Scott ahead of Nelson by 0.15 percentage points. A hand recount in the Senate race does not review all votes that were cast. It will involve only that fraction of ballots in which voters cast either two votes for one race, which is called an overvote, or appeared to choose no candidate, which is an undervote. The idea is to figure out a voter’s intent. At a warehouse in Broward County — which has had numerous problems throughout the election — dozens of volunteers sitting at folding tables cheered loudly when they were told they had finished the recount Friday morning for the Senate race and could go home for the day. Results were not immediately announced. The margin in the governor’s race between Republican Ron DeSantis and Democrat Andrew Gillum was 0.41 percent. That means the contest for governor appeared all but over Thursday, with a machine recount showing DeSantis with a large enough advantage over Gillum to avoid a hand recount in that race. The overall recount has been fraught with problems. 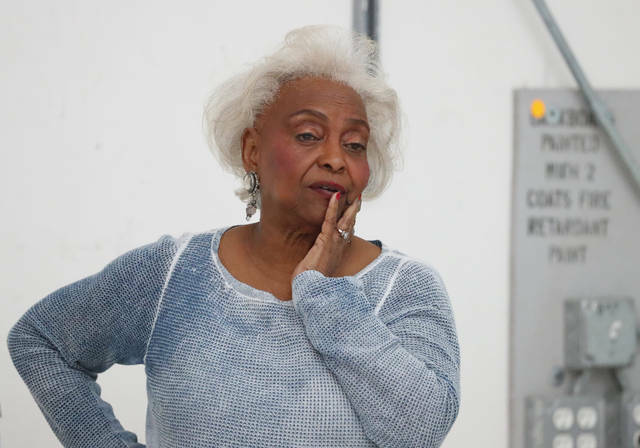 One large Democratic stronghold in South Florida was unable to finish its machine recount by the Thursday deadline due to machines breaking down. A federal judge rejected a request to extend the recount deadline. The margin between Scott and Nelson had not changed much in the last few days, conceded Marc Elias, an attorney working for Nelson’s campaign. But he said he expects it to shrink due to the hand recount and the ruling on signatures. Late Thursday, Walker rejected a challenge by Nelson and Democrats to the rules of the hand recount in the Senate race. During the hand recount, elections officials look at just the ballots that weren’t recorded by voting machines. Walker found the state’s rules were reasonable and constitutional. Walker also ordered that voters be given until 5 p.m. Saturday to show a valid identification and fix their ballots if they haven’t been counted due to mismatched signatures. Republicans challenged this order and were turned down by an appeals court. Associated Press writers Tamara Lush in St. Petersburg and Curt Anderson and Kelli Kennedy in Fort Lauderdale contributed to this report. According to social scientists, very easily. Humans have a knack for holding contradictory attitudes and shifting seamlessly among them. Social psychologist Richard E. Nisbett and others have studied the way people make judgments and form perceptions, finding that we are guided by an array of mental and emotional forces that apply depending on context and situation. Most of this is beyond our conscious awareness. No matter what our politics, human beings seek fairness, security, and dignity. We yearn for status in our own eyes and in those of our community. We are creatures who yearn for comfort when we are hurt and someone to blame when we are angry. Most of the time we want to help our neighbors and to show kindness to strangers. We want love, whether we were the supporters of Hillary Clinton who raised “Love Trumps Hate” signs in the 2016 campaign or Trump backers who swam in the “sea of love” the president described at his inauguration. Hochschild’s 2016 book, “Strangers in Their Own Land,” is the account of a struggle to scale what she calls the “empathy wall”—the mental and emotional blocks which prevent us from seeing through the eyes of others. Part of the challenge involves understanding the ways in which we are connected. In an interview with the Institute for New Economic Thinking, Hochschild said that she found strong interest in renewable energy among Louisianans. However, talk tended to shut down when the suggestion of government investment came up. On a fishing trip with one of her Louisiana friends (she calls them friends in the book), a surprising path of connection came up through a discussion of fairness, namely, how it didn’t seem fair that California enjoyed relatively clean air and water and Louisiana suffered with pollution. It was the social self, not the economic self that mattered in the conversation. Once the idea of fairness was extended into the issue of pollution, people were able to shift out their default political framework. Most want people to have a safety net: A 2017 survey by the Kaiser Family Foundation showed that only 12% support cuts to Medicaid, while a 2016 Public Policy Polling survey found that the majority of Americans want to expand Social Security, regardless of age, race, gender, or party affiliation. Most want more economic fairness: A 2017 Reuters/Ipsos poll showed that three quarters think the rich should pay more taxes, while a Pew survey the same year revealed that 62 percent are deeply troubled that “some corporations” don’t pay their share. Pew also reported in 2017 that a substantial majority sees economic inequality as either a very big or moderately big problem. Americans care about nature: In 2018, Gallup showed that most want the government to do more to protect the environment. Even the most polarizing issues reveal commonalities: A 2016 Pew survey found that 69% do not want Roe v. Wade overturned. Surveys also reveal shared frustrations, particularly when it comes to institutions. In 2017, Pew reported that only 18% of Americans say they can trust the government in Washington. 2018 polling data demonstrate that only 14 percent have a “great deal” of confidence in banks. A recent NPR/PBS NewsHour/Marist poll showed that Americans have limited faith in big business, the presidency, the political parties and the media. A dismal 13% were found to trust the Democratic Party, and even fewer, 10%, had faith in the GOP. Congress elicited trust among just 8% of people. We may claim strong tribal affiliations to political parties, but we are frequently exasperated and annoyed by those tribes. Hochschild observes that we all live in bubbles, and that it is imperative to get out of them. Change the situation and the context and you change how people respond to matters that are not as settled as they appear. She points to efforts like Bridge Alliance, a coalition of more than 90 organizations across the country committed to figuring out how to revitalize democratic practice—an effort that requires people with different perspectives and backgrounds meeting each other, speaking to each other, and activating the processes that encourage human beings to explore what they have in common. In the current climate, Americans across the political spectrum feel alienated from a system that fails to represent what most of us want. People intuitively understand what research by political scientists like Ben Page and Thomas Ferguson have revealed: that the system has been taken over by a privileged few and grows more rife with exploitation and unfairness. Any charges against Assange could help illuminate whether Russia coordinated with the Trump campaign to sway the 2016 presidential election. It would also suggest that, after years of internal wrangling within the Justice Department, prosecutors have decided to take a more aggressive tact against the secret-sharing website. Associated Press writer Raphael Satter in Paris and Chad Day in Washington contributed to this report. 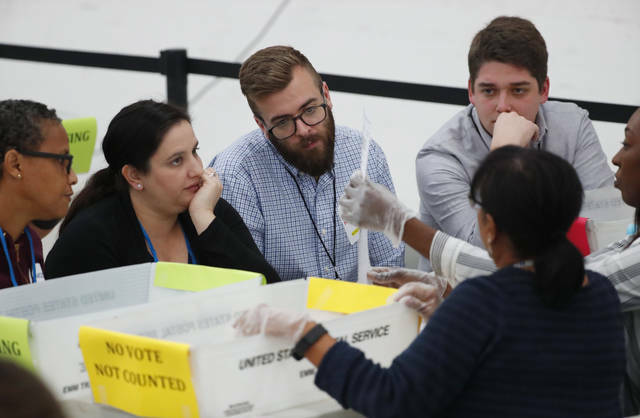 Workers at the Broward County Supervisor of Elections office, foreground, show Republican Democrat observers ballots during a hand recount, Friday, Nov. 16, 2018, in Lauderhill, Fla. Florida’s acrimonious U.S. Senate contest is headed to a legally required hand recount after an initial review by ballot-counting machines showed Republican Gov. Rick Scott and Democratic Sen. Bill Nelson separated by fewer than 13,000 votes. https://www.sunburynews.com/wp-content/uploads/sites/48/2018/11/web1_121789203-0401b95efc9f4cfa91c31923974afcf9.jpgWorkers at the Broward County Supervisor of Elections office, foreground, show Republican Democrat observers ballots during a hand recount, Friday, Nov. 16, 2018, in Lauderhill, Fla. Florida’s acrimonious U.S. Senate contest is headed to a legally required hand recount after an initial review by ballot-counting machines showed Republican Gov. Rick Scott and Democratic Sen. Bill Nelson separated by fewer than 13,000 votes.